So, when I say I live in "Quakechurch"; I am not lying. Another severe aftershock today, with continuing smaller aftershocks every few minutes. Makes for a pretty crappy time to be in charge of a whole group of small children; I was teaching a class of Year 1 (5 Year olds) today, and it certainly was an experience I was sure I was not going to have to deal with again after February. But; thats the way it goes I suppose. I am well, my family are fine. My power is on (hence the update!) and for all intents and purposes, life is fine. My house is standing, so, in the grand scheme of things, I am fine. 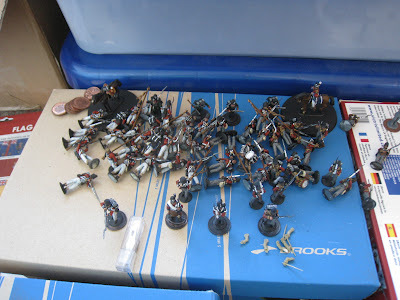 In spite of them all falling down (bar the heavily weighted skirmishers) there is no damage to my British, so the Blog is not going to be stopped! It would have been a real pity if all that work got destroyed! What will tommorow bring? No idea. Perhaps some painting? It will depend on whether friends of mine need help with the clean up. To my Christchurch friends, be well and if there is any help I can give, just ask. Yes, they survived alright! Water is back on; so no issues here. Hopefully will start some painting tommorow, since I have no teaching! I store all my man dollies in boxes with closed lids, the Feburary quake took to heavy a toll for me to display anything now! Your British look awesome, I'm SO doing some Frenchies for you to shoot up! Drop me a line next time your up at club too, I have some spare Victrix British for you. They are Peninsula, and you have heaps already but you might be able to find a use for them? 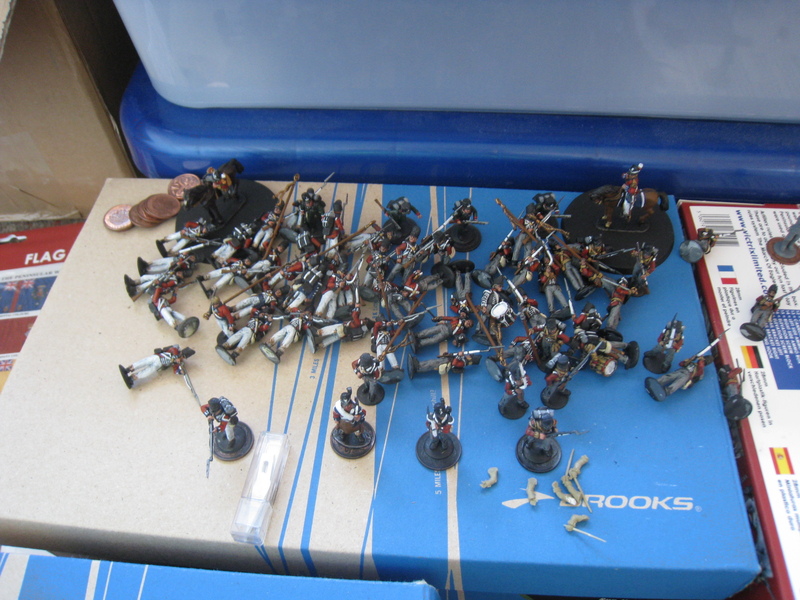 My FOW likes to hide in boxes, but my British were out nicely in lines- to show off my own hubris I think! More Victrix would be handy; I should be able to stop by the club next week I think. Not sure that the club will be on this week! I like to leave my current projects models out on display on either the window sill or on top of my fish tank. Helps me get through it by gradually adding to them. Nothing got broken but it did get wet!